Jason Watkins, Lee Ingleby and Royce Pierreson also report to AC-12! 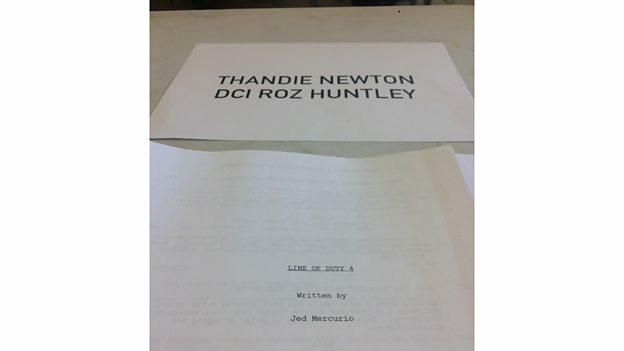 Actress Thandie Newton (Westworld) is confirmed to guest lead in the fourth series of Jed Mercurio’s hit BBC One (originally BBC Two) drama, Line Of Duty. Other new cast additions, who will be joining series regulars Martin Compston, Vicky McClure and Adrian Dunbar, are Jason Watkins (Love, Nina), Lee Ingleby (The A Word) and Royce Pierreson. Thandie will play DCI Roz Huntley, AC-12’s new antagonist with Roz and her team in the thick of a career-defining case, Operation Trapdoor. Under intense pressure to catch the culprit and prove herself to her superiors, and facing conflict with her colleague, Forensic Coordinator Tim Ifield (Watkins), it’s not long before AC-12 decide to probe her handling of the investigation. A mother of two and wife to husband Nick, (Lee Ingleby), Roz will do anything to stop her life unravelling. Anything. Determined to uncover the truth, Detective Sergeant Steve Arnott (Compston), Detective Sergeant Kate Fleming (McClure) and Superintendent Ted Hastings (Dunbar) must work together to tackle their most devious opponent yet. They are aided by PC Maneet Bindra (Maya Sondhi) and newcomer Detective Constable Jamie Desford (Royce Pierreson). The fourth series will be its first to air on BBC One after becoming BBC Two’s highest-rating drama series ever since current measuring system began in 2002. A fifth series has already been commissioned. Line Of Duty is made by World Productions. Series 4 begins filming in Belfast in September 2016.